President Obama decided to right what most people in Alaska believe was a mistake by officially changing the name of Mount McKinley back to its traditional appellation. 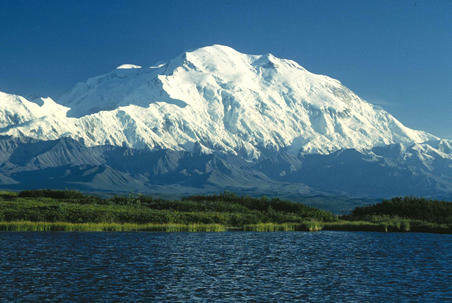 The tallest mountain in North America, Denali was renamed to McKinley in 1917 21 years after a prospector to Alaska used the mountain and its name to support the then Republican presidential candidate. The mountain was officially designated as McKinley by an act of Congress, but in Alaska the people felt differently about what the name should be. In defiance of the US law, the Alaska Board on Geographic Names changed the mountain’s name to Denali in 1975. That move came after supporters of the traditional name could not get past the Ohio congressmen to change the name on the federal level- President McKinley was from Ohio. One congressman, Ralph Regula, was especially dedicated to keeping the name McKinley, apparently because he was from the President’s hometown of Canton. When Regula retired in 2009 the road was cleared to allow the change, but the process was simplified when the present President Obama took the matter into his own hands and changed the name back to Denali by Presidential edict, signed into law by Interior Secretary Sally Jewell.